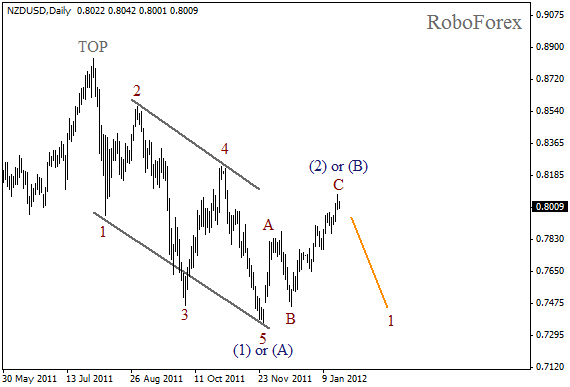 In case of the New Zealand Dollar the situation looks very promising. At the daily chart the price formed a descending wedge pattern. 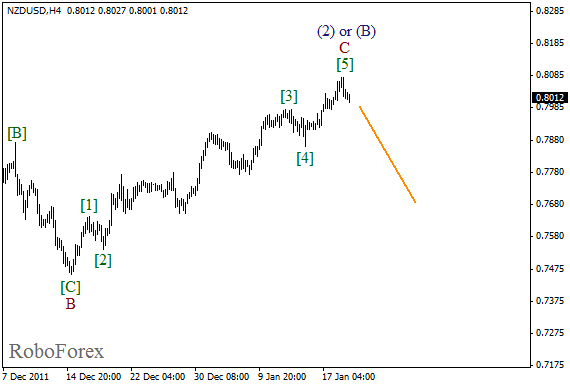 Right now it’s not quite clear if this pattern is the start of the new movement or just wave (A) inside the correction. 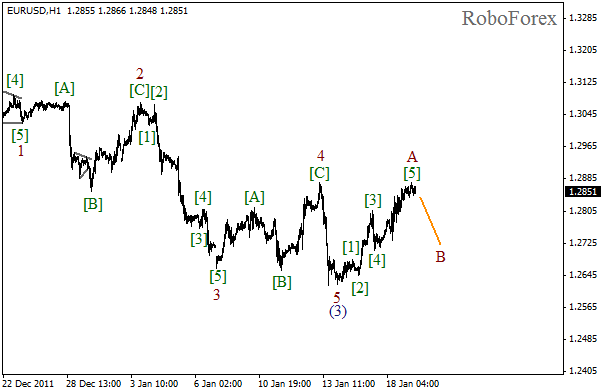 It looks like a rising zigzag pattern in wave (2) of (B) will be finished soon. In the near term, we can expect the price to start forming an initial descending impulse. Impulse in wave C looks almost completed. On the minor wave level the price finished forming the fifth wave. In order to open a sell order one should wait until the price starts forming a bearish impulse and then start trading in a downward direction during the correction. The fact, that the local growth of the price continues, indicates that the market started the correction on the major wave level. 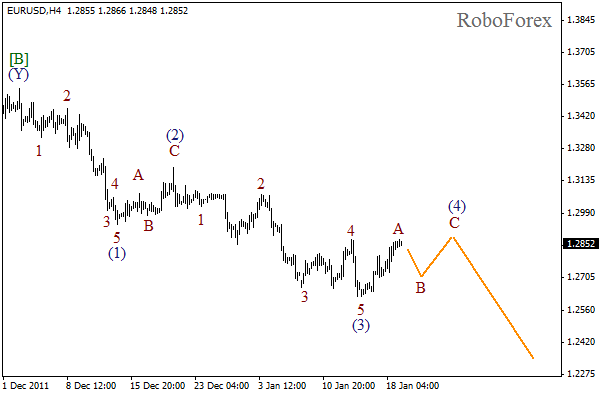 It looks like the price is forming wave (4). Inside this wave we can see the formation of an impulse in wave A. During Thursday Euro may start moving downwards while forming wave B of (4). As we can see at the H1 chart, impulse in wave A has almost been completed. Most likely, the local correction will start within the next several hours. During the formation of wave B the price may test the level of 1.2700.